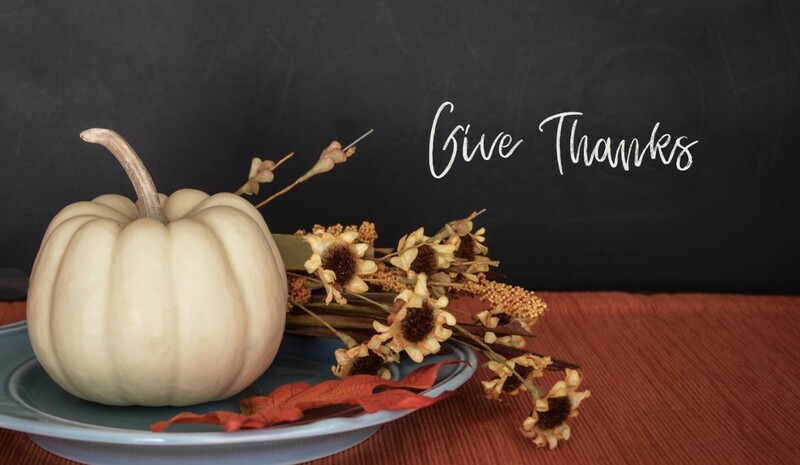 Thanksgiving is one of America’s favorite holidays – hanging out with family, watching football, and sharing an awesome meal with those we love. If you think Thanksgiving dinner is a calorie bomb, you’re right. Some estimates say this single meal can rack up a whopping 2,800 or more calories. The recommended intake for the whole day is 2,500 calories for a male and 2,000 for a female. So if you eat nothing else during that 24 hour period you’re only 300 to 800 calories over the daily limit. Good luck with that. Or – smarter and more fun – you can take advantage of certain tricks to slash hundreds of calories – possibly up to 1,200 – off the feast without even noticing the difference. Kept a Secret in the US… Until Now! The people who live in a secluded forest on the other side of the world all have one thing in common… they have ZERO joint pain! Even as they age, and even the most physically active who are hard on their joints, enjoy a full pain-free life. What do they have ‘Down Under’ that we don’t? And why are people in the United States suffering day and night with joint pain with no relief… when we have thousands of different treatments here?! Simple… it’s because in this village on the other side of the world (and in a few other lucky places), there’s a mineral-spring compound found in the water and soil that is ESSENTIAL for building and repairing joint cartilage. If your body isn’t getting enough of this compound, you’re almost assured to have joint pain, especially as you get older. It’s possible to avoid a distressing food coma that causes you to lie on the couch for the rest of the day. And it’s simpler than you might expect. Start with these strategies. Begin the day with physical activity. Do a workout. Or take a brisk walk early in the day. Alternatively, stir up some outdoor fun before dinner – like a game of soccer, basketball, or football with the kids. In a similar vein, go out for a neighborhood stroll (weather permitting) after dinner too. It’s a great way to enjoy the holiday together. Eat your big Thanksgiving dinner early in the afternoon, instead of in the evening. Defer dessert. Instead, take a break for physical activity, and enjoy pie at your normal evening dinnertime. Does anyone really need that piece of pumpkin pie directly after the turkey, stuffing, mashed potatoes and candied sweet potatoes? Eat a light breakfast to curb your appetite. If you go into the big meal in “starvation mode,” you’re more likely to over-indulge. Instead of high-calorie hors d’oeuvres, snack on fiber-rich vegetables and hummus. Think carrots, celery, bell peppers, and cauliflower. The killjoy health police let us eat as many vegetables as we want. If you’re a guest, take the carrot and celery sticks with you. Offer to help prepare. Call your host and say, “I’d love to bring something. What do you plan to serve?” If one of the dishes is loaded with calories and sugar, propose a different recipe for the same item (see below). Remember that booze is loaded with calories and sugar. Take sparkling water with you instead, and drink lots of it. You won’t be nearly as tempted to try to quench your thirst with alcohol. Remember, your mind often misinterprets thirst as hunger. Water helps your stomach register as “full” and keeps you from overeating. Or over-drinking. Fill at least half your plate with vegetables, one quarter with white turkey meat, and a quarter or less with healthy starches. Healthy veggies curb your appetite and keep you from loading up on less healthy foods. And if you feel obliged to pile it on, turkey is a much better choice than the usual starches – dressing, mashed potatoes and bread. Eat slowly and savor every bite. Slow down. It’s not a race to the end of the meal. Put your fork down between bites. Focus on the conversation instead of the food. It’s one of the best ways to slash your calorie intake. Leave the table when you finish eating. Politely, of course. You’ll be surprised by how many people are just waiting to make the same move. “I have to move” or “I have to get some air” are good excuses. Other goods ones are checking on the children’s table or helping to clear the dishes. If you remain seated, you’re too likely to go for seconds. And that can induce food coma so fast you won’t know what hit you. It’s nice when the whole dinner party moves to another room to chat and spend time together. Which is the Skinnier Option? (a) White turkey meat or (b) dark? (a) Green bean casserole or (b) sweet potato casserole? (a) Traditional sausage stuffing or a (b) dinner roll with butter? (a) Jellied cranberries or (b) gravy to top your turkey? (a) Pumpkin or (b) apple pie? Hopefully you answered 1-a, 2-a, 3-b (see notes below), 4-b, and 5-a. Opting for three ounces of white meat will rack up 115 calories, versus dark meat’s 160. Even with its creamy soup and fried onions, green bean casserole is lighter (161 calories) than sweet potato casserole (285 calories) – though both can be made healthier and with fewer calories. No. 3 is tough. If you’re all about counting the calories, opt for the dinner roll with a pat of butter. But if you love stuffing, enjoy a small serving of it. After all, Thanksgiving only comes once a year. Despite its bad reputation, gravy is actually the healthier option versus jellied cranberries. Gravy delivers about 30 (to 50, depending on whose number you use) calories per ¼ cup, whereas cranberries will hit you with 110 calories. And they’re loaded with sugar. Pumpkin pie gets the thumbs up, with a “mere” 316 calories compared to apple pie’s 411. One explanation may be apple’s double crust. Also, whipped cream has far fewer calories and lower sugar content than vanilla ice cream. Cut the sugar in every recipe by 50%. Sweet Potatoes. Four ounces provide 390% of your RDA of vitamin A and 40% of the RDA of vitamin C, plus beta carotene, lutein, and zeaxanthin. It’s also a potent anti-cancer food. Unless you add cancer-loving, addictive sugar to it! Instead, cut them in one-inch pieces, place in foil, sprinkle with cinnamon (helps reduce your blood sugar) and grill for 20 minutes. Or put one-inch pieces in a baking pan, drizzle with olive oil, sprinkle with oregano, salt, and pepper, and bake 60 minutes at 350 degrees. Both are tastier, healthier, and more guilt-free than corresponding sugary versions. Green Beans. Boasts nutrients such as vitamins A and C. But instead of creamy calorie-laden green bean casserole, lightly steam fresh green beans, and then serve with minced sautéed garlic and olive oil. Delicious! You can also garnish with almond slices for even more taste. Gravy. Try homemade this year. All you need is a bit of flour as a thickener, a shaker, and various organic spices. And there’ll be no hidden additives and preservatives. Green salad, not Jell-O salad. It’s far lower in sugar. Top the greens with an olive oil/balsamic vinegar dressing. Cranberries. Use raw berries and add just a bit of honey or maple syrup and an orange. Making it yourself lets you control the sugar. Other vegetables. Consider adding healthy broccoli or Brussels sprouts to your menu, especially if you only have one other low-cal vegetable (like green beans). Pie. Make your own pie and cut the sugar by 50%. No one will be the wiser – and everyone will be healthier. Then cut the pie into eight pieces instead of six. If you binge anyway, do this next. . .
First, don’t let a one-day binge turn into an “I blew it” binge for the next six weeks. Make sure your pantry is supplied with healthy options for the day after. Make “Farewell to the Thanksgiving Turkey” soup with the bones, leftover meat, and plenty of vegetables. Second, get moving again. No need to wait until Jan. 1 to make a resolution. But don’t overcompensate by doubling up on tough workouts. That could lead to an injury that keeps you out of the gym over the next several weeks. Third, have a movement plan for Friday, Saturday, and Sunday. Stay off the couch. Take a walk, go shopping, visit a museum, take a nature hike, ride a bike if you own one and you’re up to it. Most of all, don’t beat yourself up. It does more harm than good. And. . . as this holiday season gets going, my best wishes to you and those you love. Make 2018 your healthiest year ever!